essentialoilsnc | Essential Oils For Everyone, Everywhere. A lot of people ask “how” they can get started with essential oils, a great question. We try to keep it simple, we really do. If you just want to try out one or two oils, to dip your toes into the water so to speak, you’ll want to join Young Living as a retail member, you’ll pay full price for anything you purchase. However, if you want to try a wider range of oils AND get additional items, including a diffuser by which to diffuse your oils at a less expensive price, we recommend you join Young Living as a wholesale member and purchase one of the Starter Kits. We’ll always point you to the Premium Starter Kit for the best overall value and you will be given a choice of several different diffusers. From those, we will always recommend the Home Diffuser as the best one to get you started. And keep in mind, as a wholesale member of Young Living, in addition to the hugely discounted overall cost of the Premium Starter Kit, the majority of your future purchases are at a 24% discount. Another one of our favorite Young Living oil blends is Believe. Ingredients include Balsam, Idaho Balsam Fir, Coriander, Bergamot, Frankincense, Idaho Blue Spruce, Ylang Ylang, and Geranium. Believe is a great oil for diffusing, the fresh fragrance helps generate feelings of hope, making it possible to focus on health, vitality, and happiness. It has been known to act as a slight skin irritant so if applied topically, it should be sparingly, mixed with a carrier oil. Raven is a fantastic Young Living blend of essential oils. It includes Camphor, Lemon, Wintergreen, and Eucalyptus Radiata. This is often suggested as a support for the upper respiratory system, applied to chest and back. Highly antiviral and antiseptic. For external use only. This room freshener continually emits a light scent while the baking soda works to absorb any unwanted odors. When you need more fragrance, just give it a little shake! 2. Place your air freshener jar anywhere you want to control odors, such as bathrooms, trash areas, closets, etc. 3. Shake your air freshener jar frequently to keep the scent activated. If you notice that the fragrance starts to fade, simply add 4 to 5 drops of additional essential oil to jar. The answer is quite an easy one. 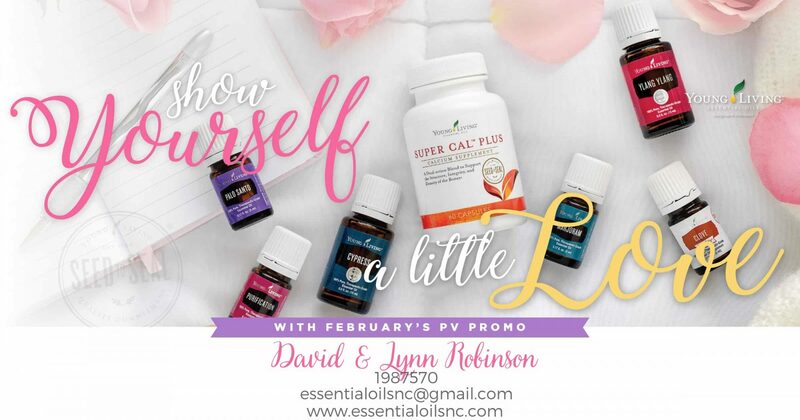 Buy a premium starter kit, it has everything you need to get you started and dip your toes into the world of essential oils. Young Living streamlined the premium starter kit earlier this year, making it the best one yet (in our humble opinion). Prices will vary, based on the diffuser you select. See the attached graphics, and contact us for more details. Here is the direct link link to our sign up page. Here is a great blend you can make for Valentine’s Day, or any day for that matter! We are excited that Roman Chamomile is back in stock, for now, while stocks last. Hailing from Egypt and Germany, the plant is seasonal, and therefore is not available all the time. Roman Chamomile has been highly esteemed for over 3,000 years and has been used for many types of skin conditions and stress-related complaints. People also use it for sedating and calming, as an anti-inflammatory, and as a decongestant. It supports digestive, liver, and gallbladder function.